Major Richard Streatfeild's comments on the developing situation in Sangin in Helmand province – where he previously served with the Rifles – have been featured by BBC NEWS. British military personnel have been deployed to the area following reports of the town being overrun by Taliban forces. You'll be £10.50 closer to your next £10.00 credit when you purchase Honourable Warriors. What's this? His graphic personal account gives an inside view of the physical, psychological and political battle to come to terms with severe casualties and the stress of battle while seeking the support of the local population. As he describes the day-to-day operations, he provides a fascinating record of the Taliban's guerrilla tactics and the British response to them. His narrative also gives a direct insight into the experiences of soldiers who had to face down their fear throughout a prolonged tour of duty on the Afghan battlefield. 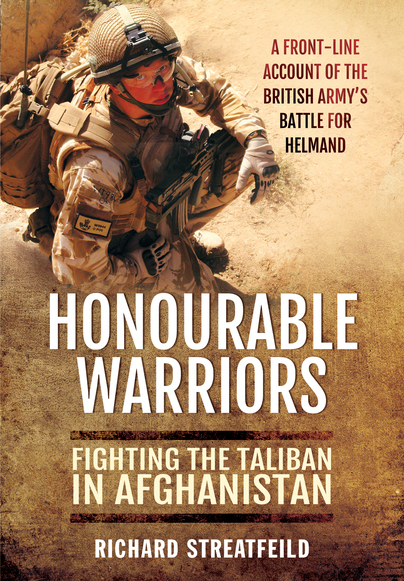 Honourable Warriors is essential reading for anyone who cares to understand the nature of the war in Afghanistan and how the odds are stacked against the army's success. This is a very valuable account of this most recent of conflicts, and rather more thoughtful than many books written this soon after the events it covers. The degree to which Richard Streatfield illuminates the stresses, strains and successes that surround command at this level makes this a must-read for young commanders ... and provides a highly readable and highly relevant insight into command. It is written in a style which is accessible and, above all, it is a love story. I found this a readable account of the difficulties faced by both officers and men in one of the most dangerous areas of the world. An honest account I think of how it felt to be in command of a large group of soldiers during this modern war and one well worth reading if you want to understand a bit more about what the British Army has faced during the recent years of service in Afghanistan. This is a penetrating account of the fight against the Taliban in Afghanistan by a British Officer. Major Streatfield has been outspoken in his analysis of foreign intervention in Afghanistan, providing a thought-provoking and personal perspective. With countless titles available on Afghanistan it takes something special to stand out from the crowd. Here, a former company commander has chosen to criticise the MOD's strategy and Isaf tactics as well as admitting misleading the public in a blog. The book itself is well written... it's obvious that Streatfeild cared for his troops. An honest, heartfelt, thoughtful and above all decent book. It's about those who died, both soldiers and innocent civilians and it is a tribute to those who were wounded both physically and mentally. This is a book written from the perspective of a leader and a decent, honourable warrior.